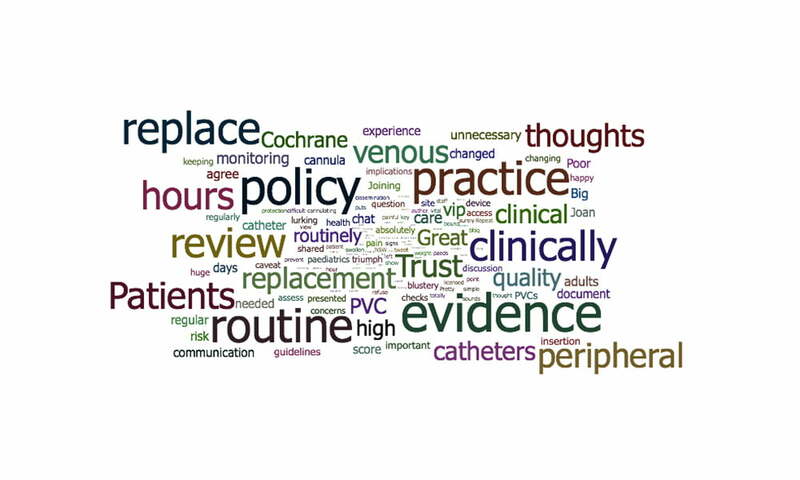 Last week, I wrote a blog summarising reliable Cochrane evidence which supports replacing peripheral venous catheters (PVCs) only when clinically indicated. 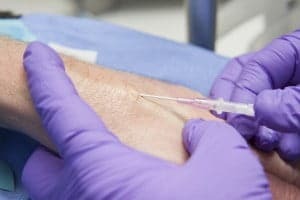 A previous version of the review informed The UK’s epic3 National Evidence Based Guidelines (2014) which recommend that short peripheral catheters should be replaced when clinically indicated, being both safe and cost-saving. In the UK, at least, I would expect this to be reflected in practice, but I already knew from Twitter conversations that routine replacement of PVCs is not uncommon. This week, I guest hosted a @WeNurses tweetchat to explore what’s happening now, what practitioners think about this evidence and whether it can support a change in practice where routine still rules. In paediatrics, unnecessary procedures are rightly seen as unacceptable. Radiographer Janice said she changes the PVC if she is unhappy with it, irrespective of time in situ, noting that some CT exams require high flow rates and that that they have to be mindful of IV contrast extravasation. Her practice is to flush with saline after the exam and check with the ward if the cannula can be left in. “As a cannulating radiographer it is a priority that I work with my nursing colleagues to ensure best practice”. 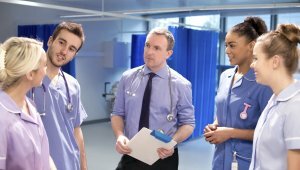 Getting evidence into nursing practice: replacing the routine by Sarah Chapman is licensed under a Creative Commons Attribution-NoDerivatives 4.0 International License. Based on a work at http://onlinelibrary.wiley.com/doi/10.1002/14651858.CD007798.pub4/abstract. Permissions beyond the scope of this license may be available at http://onlinelibrary.wiley.com/doi/10.1002/14651858.CD007798.pub4/abstract. The images within the blog are not available for re-se as they have been purchased from istock.com for Evidently Cochrane. Webster J, Osborne S, Rickard CM, Marsh N. Clinically‐indicated replacement versus routine replacement of peripheral venous catheters. Cochrane Database of Systematic Reviews 2019, Issue 1. Art. No. : CD007798. DOI: 10.1002/14651858.CD007798.pub5.